West Lafayette is the idyllic setting for a master’s program – small and diverse while bustling with all the excitement and resources of a larger city. 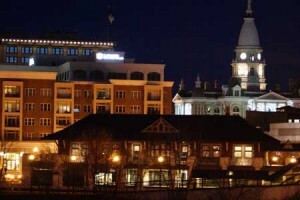 Our affordable and family friendly town has a wide range of lively and unique amenities, and is conveniently located about 2 quick hours from Chicago and approximately 1.5 hours from Indianapolis. Furthermore, our small town’s low crime rate puts both students and families at ease, fostering an environment in which students feel safe to study, work, and socialize. 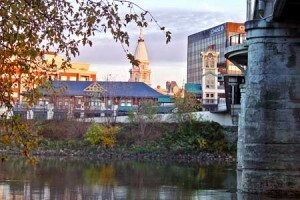 The Greater Lafayette area has big-city amenities without the big-city costs. Affordable for individuals and families, this city offers a wide selection of housing, dining, shopping, and entertainment. 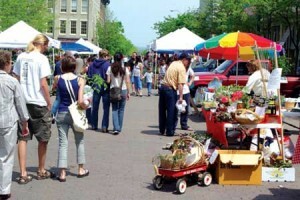 The area surrounding Purdue is populated with shopping plazas, a large mall, quaint boutiques, seasonal farmers’ markets, and many more galleries and shops. You’ll have no problem finding pastimes which suit your tastes. Furthermore, to the delight of “foodies” everywhere, the diversity of Purdue’s student body is equally matched by the diversity of available dining options. From traditional American chain restaurants and pizza shops to authentic Italian, Chinese, Japanese, Indian, Middle Eastern, and Mexican establishments, West Lafayette has anything a diner could desire. Beyond standard eateries are delis, cafes, coffee, and tea shops, bakeries, and more! Purdue University is a Big 10 school located in the heart of West Lafayette. Boasting a variety of diverse venues to satisfy individuals of any age and nationality, West Lafayette could be described as the quintessential university town. The city is affordable, fun, and offers a unique experience that will complement your time in Purdue master’s program perfectly. At Purdue, you don’t even need to have a car to enjoy the shopping, entertainment, and dining opportunities in West Lafayette, Indiana. You’re within walking distance of “the Village,” a popular community locale that boasts intimate coffeehouses, international cuisine, and unique retails stores. Wander down State Street toward the Wabash River and you’ll come to Wabash Landing, home to some of West Lafayette’s newest offerings, thanks to a recent expansion. Among the businesses located here are clubs for late-night fun, more coffeehouses, restaurants, and a movie theater. Students find the Greater Lafayette area to have all the additional comforts they would hope for when moving to a new city. Historical attractions, parks, museums, city festivals, and art centers are great activities for families. Additionally, students are invited to enjoy the recreational amenities available, such as golfing, biking, hiking, and the use of select Purdue athletic facilities. When not working or attending class in Rawls, you could be out with friends or family, hiking, spending time at one of the many parks, cheering on the Purdue Boilermakers, visiting a museum, and much, much more.